PalaPoker.com welcomes you with a generous $25 sign-up bonus – No deposit required – No bonus code required! It’s free to register so join today! You get $10 in Poker Bonuses. $10 in poker tournament dollars can be used to enter Multi-Table or Sit & Go tournaments. You get $15 in Casino Bonuses. 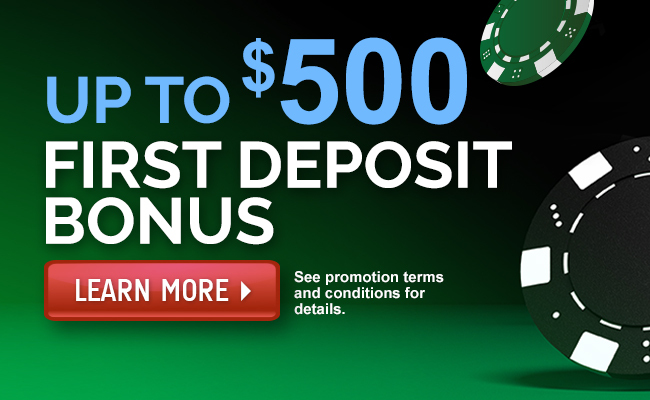 $10 in Casino Bonus dollars will automatically be placed into account upon successfully completing your registration. You will win a minimum of $5 Casino Bonus dollars when you take your first spin on the PalaCasino.com $1,000,000 Slot Machine and you could win much more including the $1,000,000 prize. 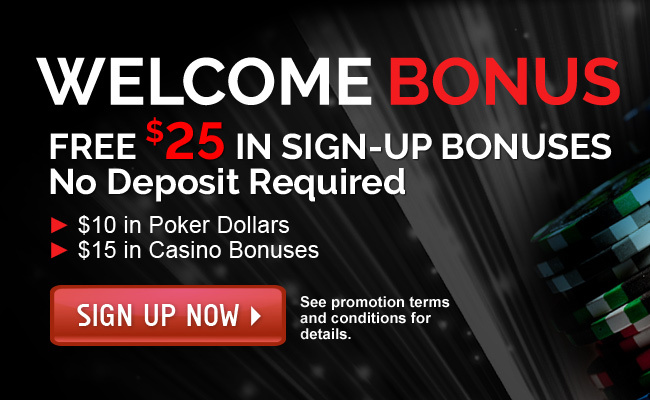 That’s $25 in bonuses to get started at with Pala – sign up today! The $25 Welcome Package is valid from August 1st, 2018 through December 31st, 2019. The $15 Casino Bonus Dollars consists of $10 Casino Bonus Dollars granted upon successful completion of registration and a minimum of $5 from the first spin on the PalaCasino.com $1,000,000 Slot Machine. The $10 in Poker Dollars consists of $10 in Poker Tournament Dollars. The Welcome Package is only valid for new players registering on PalaPoker.com and who have not previously registered an account on either PalaCasino.com or PalaBingoUSA.com. Casino Bonus Dollars and any winnings from Casino Bonus Dollars cannot be cashed out until the 20x play through requirements are met. With the exception of the $1,000,000 Cash prize, Casino Bonus dollars won from the PalaCasino.com $1,000,000 Slot Spin requires 20x play through before cashing out. For every $1 won, the player must wager a minimum of $20 in order to cash out bonus and any winnings. The $10 in Poker Play is issued as $10 in poker tournament dollars. Poker tournament dollars can be used to buy in to any poker tournament or Sit & Go. All Casino Bonuses awarded through the Welcome Package expire 15 days after being issued. 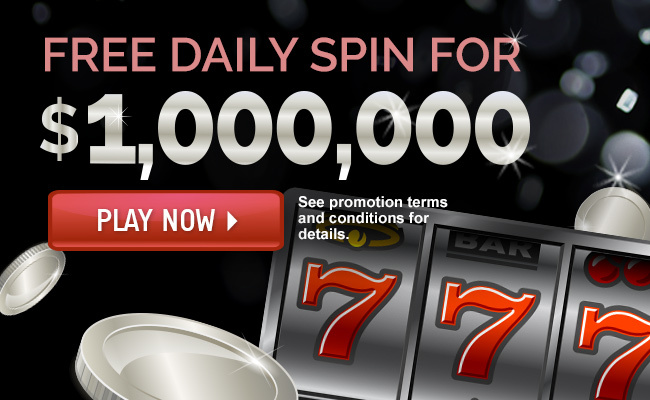 For more information on PalaCasino.com’s Free Daily Spin for $1,000,000 promotion click here. Pala reserves the right to change or cancel this promotion in its entirety at any time. Pala also withholds the right, at its discretion, to exclude any individual or individuals from participation. Players who have already signed up for PalaCasino.com, PalaBingoUSA.com or PalaPoker.com are not eligible for the $25 Welcome Package. All General PalaPoker.com Terms & Conditions Apply. 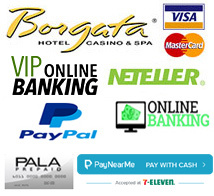 * The Welcome Package is only valid for new players registering on PalaPoker.com, PalaCasino.com or PalaBingoUSA.com who have not previously registered an account on either website. PalaPoker.com is legal and authorized by the New Jersey Division of Gaming Enforcement as an internet gaming operator in accordance with the Casino Control Act N.J.S.A. 5: 12-1 and its implementing regulations. Our games are tested by the New Jersey Division of Gaming Enforcement. Only players 21 and over are permitted to play our games. If you or someone you know has a gambling problem, call 1-800 GAMBLER.